ATM’S: There are ATM’s available at the event (fees may apply). Parking: Click here to view the parking details. Q: Do carers to a Companion Card Holder have to pay? A: Weekend passes are available at the exit gate. Just ask as you leave. 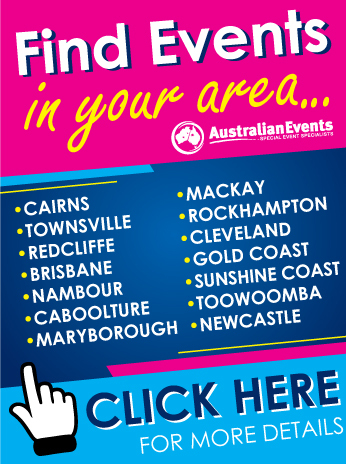 A: The Fraser Coast Expo Event Guide will be distributed throughout the region prior to the event. Extra copies will be available at the entrances. A: Yes, the list of exhibitors is updated regularly. 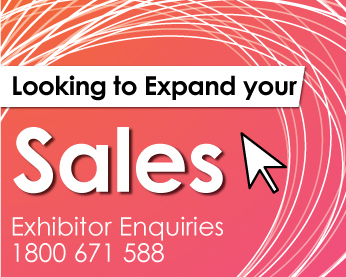 Click here to view the list of exhibitors. A: All entertainment running times are published in the Event Guide (available at the Event entrances). You are able to find more information regarding entertainment by clicking here. A: All prize information and how to enter is published inside the Event Guide (available at the Event Entrances). 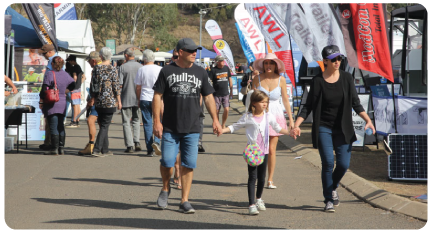 You are able to find more information regarding prizes & competitions by clicking here. Q: Is there camping available at the venue?